Down below are some resources for young adults such as employment assistance and wellness groups. 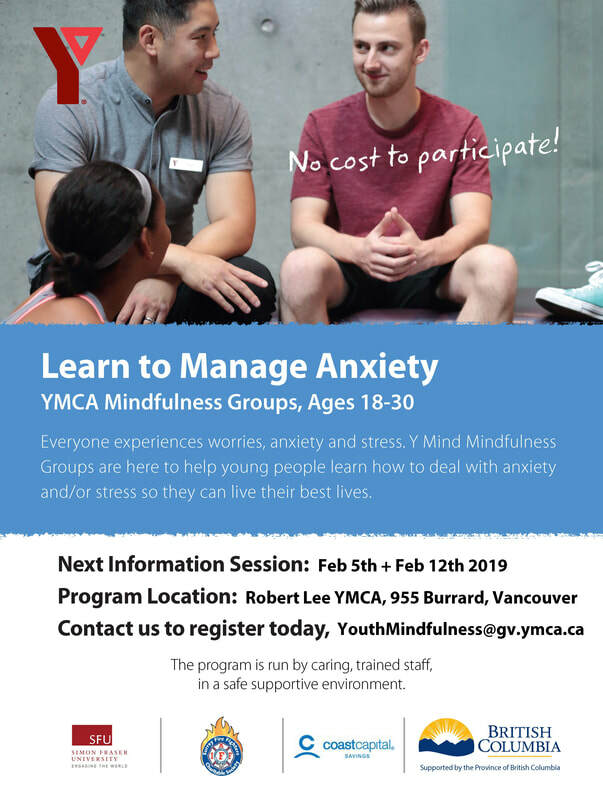 The Youth Mindfulness Program is a FREE 7-week program for 18-30 year olds experiencing mild to moderate symptoms of anxiety, stress, worry, etc. The program is facilitated by clinical counsellors who use mindfulness practices and Acceptance and Commitment Therapy (ACT) to help participants change their relationship to their anxiety and help them live rich, full and meaningful lives. Previous participants have reported decrease in anxiety and an increase in overall well-being as well as feeling more resilient, empowered and connected after taking the program. Participants learn healthy coping skills, connect with other youth in the community, and get support all in a safe and friendly environment. 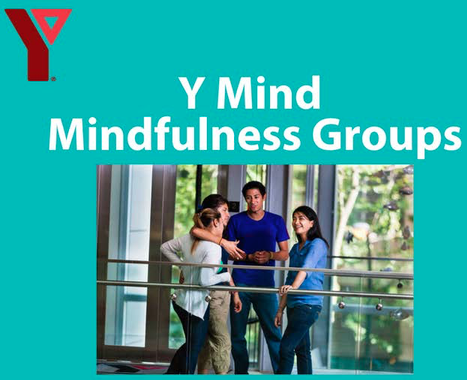 The program is overseen by Masters in Counselling Graduates and it is part of the Y Mind initiative. If anxiety is impacting your life and preventing you from doing what you want or need to do, this group can help support you. Join us to learn mindfulness techniques, get helpful tools and resources, and meet other like-minded youth. Above are details for the Vancouver program...if you prefer, there is also a program you can ask us about that is happening in Surrey. Any questions? Ready to register? CAVE Career and Vocational Exploration is for youth 15-29 looking to find their fit in the workplace. Participants get real tools and training to find and keep a steady job.CAVE is a great training option for youth to build their workplace skills and confidence, identify job goals, and create a plan to get there. 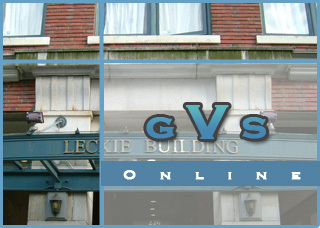 GVS Youth Job Developers have specialized training and experience in relating to and accommodating for this unique population. A smaller caseload of youth clients allows the Youth Job Developer to offer individualized, highly supported, flexible employment/educational planning. Mindyourmind exists in the space where mental health, wellness, engagement and technology meet. We work with young people aged 14-29 to co-create interactive tools and innovative resources to build capacity and resilience. We do this through our Design Studio model, in which young people work directly with facilitators, content experts, and designers to brainstorm, design, and develop our projects. Our goals are to promote wellness, reduce the stigma around mental health, and increase access to community supports, both professional and peer-based. At mindyourmind, young people are valued as experts in their own experience and choose to engage in whichever way makes sense for them. Youth are involved in everything that we do, every step of the way. We explore, co-create and prototype using iterative cycles that involve youth and adult partners to discuss and design what matters to them in mental health. Our smoothie video is a great a look at our engagement approach. Everything we do originates through interaction with youth and the professionals who serve them. Working alongside young people, every actor in the system has the potential to make meaningful change in how we conceptualize and ensure the mental wellbeing of Canadian youth. mindyourmind impacts systems change by increasing the capacity of young people to reach out, get help and give help through the use of technology, engagement and research-informed innovation. Mindfulness means “paying attention in a particular way: "on purpose, in the present moment, and without judgment” (Jon Kabat-Zinn). Much of our stress and pain comes from being pulled away from the present moment. Check out some great mindfulness audio resources. Meetup also has groups that are young adult related.